Bobomurad Abdullaev was arrested under suspicion of theft, and later charged with infringing the country’s constitutional order and has been held incommunicado. The true motives behind his arrest are his articles defying the Uzbek government. The Norwegian Writers in Prison Committee is deeply concerned about the well-being of Uzbek journalist Bobomurod Abdullaev, who was detained by the National Security Services in Tashkent on 27 September 2017. We ask for his immediately and unconditionally release, and that the criminal charges against him will be dropped. We ask for protect for Abdullaev from torture and ill-treatment pending release, including by ensuring access to adequate medical treatment, legal counsel of his choice and his family. The Norwegian Writers in Prison Committee hope for respect for the right to freedom of expression, which includes ensuring that journalists can work without fear of reprisals and free from harassment. 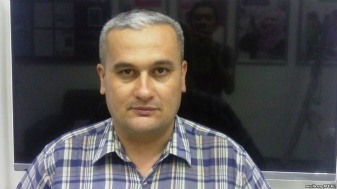 International PEN has informed its members about the continued detention of Dzamshid (Jamshid) Karimov, an Uzbek journalist detained in a psychiatric hospital in Samarkand since September 2006. Mr Karimov is a well known and outspoken critic of the government and for his reporting on socio-political issues. There seems to be justified fears that he is being held in retaliation for his reporting. We fear that Mr Karimov is ill treated in the psychiatric institution where he –for unknown reasons – is being detained. Finally, we urge the Uzbek government to comply with its obligations under Article 19 of the International Covenant on Civil and Political Rights, to which Uzbekistan is a signatory. The family of Mr Karimov has been complaining about the high level of police surveillance at their home preceding the arrest. We also request that this kind of harassment be brought to an end. I would like to thank Your Excellency for giving this case you most immediate attention and for seeing to it that the above person is being released from detention. As Chair of Writers in Prison Committee of Norwegian PEN, I am deeply concerned for the safety and the well-being of independent human rights defender and journalist Umida Niazova, who has been in detention in Uzbekistan since 22 January 2007. I consider Umida Niazova to be a prisoner of conscience, detained solely for carrying out her human rights activities, and I call for her to be released from detention immediately and unconditionally.